What are CSOs and where are they located? Some cities, such as Fort Wayne, collect both rainwater runoff and sanitary wastewater in the same set of sewer pipes. These are called "combined sewers." Sometimes when it rains, combined sewers do not have enough capacity to carry all the rainwater and wastewater (sewage) to the Water Pollution Control Plant and/or the Plant does not have the capacity to accept all of the combined flow. 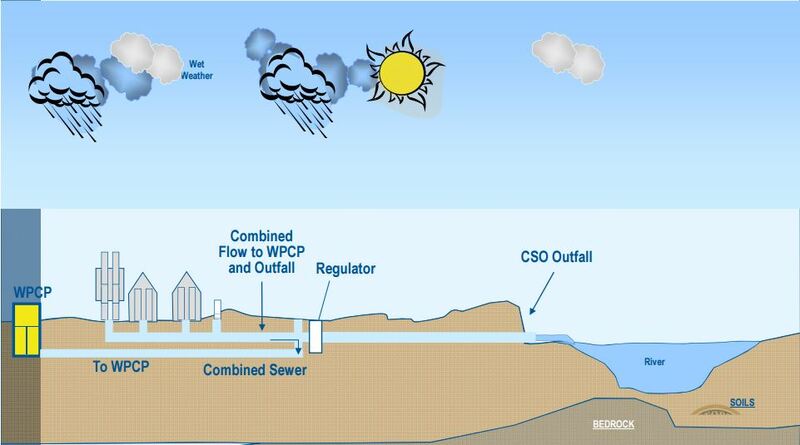 In this situation, the combined wastewater then overflows from the collection system into the nearest body of water -- in Fort Wayne's case, into one of the three rivers -- creating a combined sewer overflow (CSO). Combined Sewers serve many communities especially in the northeast and Great Lakes region of the United States. Fort Wayne has a typical combined sewer system. In Fort Wayne, combined sewers are found most in the older part of the City. Fort Wayne has 44 combined sewer overflow outfalls locations going to the three rivers and their tributaries. How do CSOs affect the Fort Wayne Community? 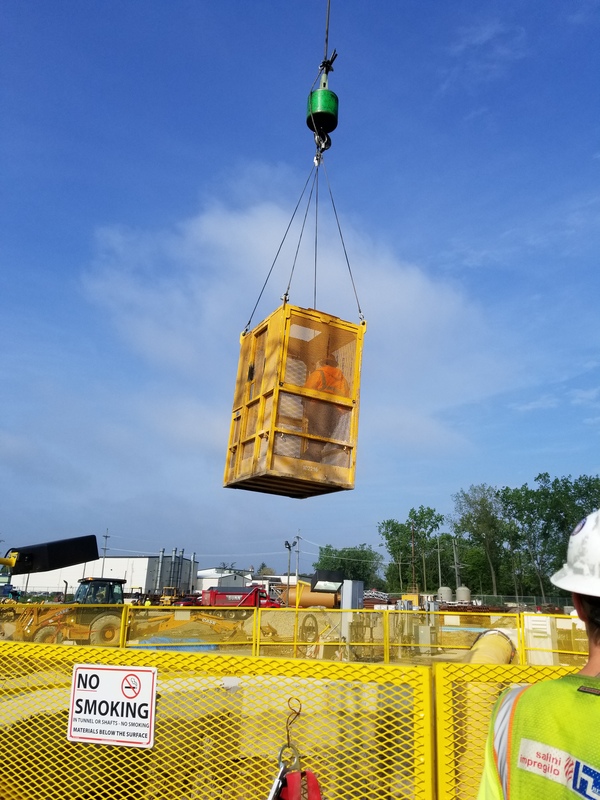 During dry weather, combined sewers that serve the older part of Fort Wayne carry sanitary sewage from homes and businesses to the Water Pollution Control Plant without incident. However, when it rains, combined sewer overflows (CSOs) happen due to the volume of water entering the pipe system thus pushing it past its capacity. As a result, river quality may be impaired by the untreated wastewater that discharges from combined sewers into the City's three rivers at overflow locations. The main pollutants in CSOs are untreated human and industrial wastes, toxic materials like oil and pesticides, and floating debris that may wash into the sewer system. These pollutants can affect your health of anyone recreating in CSO-polluted water. The pollutants in CSOs can impair use of the rivers and cause a variety of bacteria-related illness. CSO pollutants are not just a human health concern, they also damage the environment of fish, shellfish, and other aquatic life. How is the City managing and decreasing the impact of CSOs? 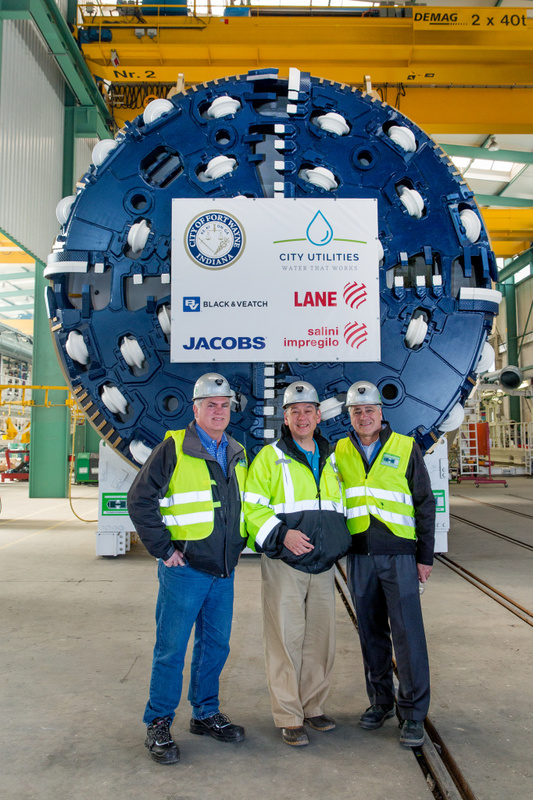 City Utilities is committed to updating and improving its sewer system to meet federal mandates and protect river water quality by significantly reducing the number of combined sewer overflow events (CSOs). Sewer system improvement plans are described in several documents that have been prepared by City Utilities and reviewed and approved by the US Environmental Protection Agency. The Combined Sewer Overflow Long Term Control Plan (LTCP) includes general descriptions of projects the City Utilities will construct to reduce the amount of combined sewage being discharged to the St. Joseph, St. Marys and Maumee Rivers during rain fall and snow melt. 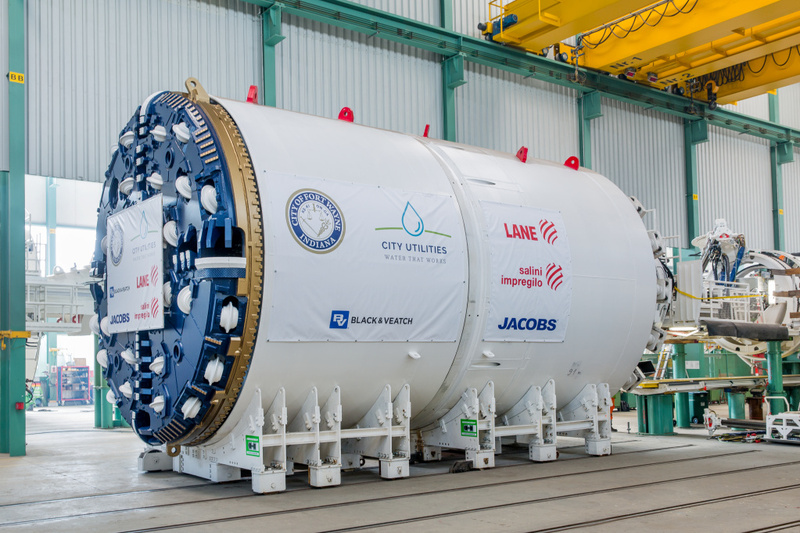 The Capacity Management, Operations and Maintenance (CMOM) program is an outline of how City Utilities will maintain and operate the sanitary sewer systems. The LTCP and the CMOM have been incorporated into a Consent Decree - a legally binding document entered into by the City Utilities, the US EPA, the Indiana Department of Environmental Management and the US Department of Justice. The Consent Decree may be enforced by a federal judge and it contains provision for City Utilities to be fined and penalized for failure to carry out the LTCP and the CMOM. The Consent Decree also outlines steps City Utilities will take to eliminate sanitary sewer overflows. City Utilities also operates the combined sewer system according to a Combined Sewer System Operation Plan (CSSOP). This document was created to comply with the US EPA's Combined Sewer Overflow Control Policy and specified many of the activities City Utilities undertakes to operate the combined sewer system.